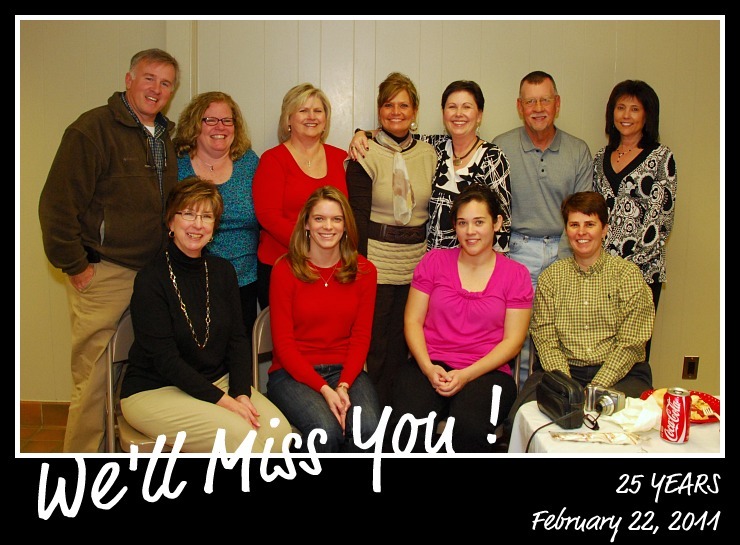 Brenda Vandiver, pictured back row third from right, retired from Parks and Recreation on February 22, 2011, after 25 years of dedicated service. She began her career in 1986 under the direction of Julian Walker. Brenda served in various positions within the department and ended her tenure as account clerk in the accounts payable department. Brenda was a loyal and dependable employee and will be missed by all. We wish her many years of happiness as she enjoys her family and many hobbies. Thank you, Brenda, for a job well done!